You don’t need to carry around fuel to power your favourite appliances anymore! 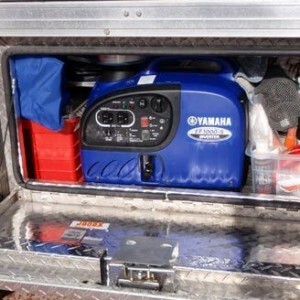 While a generator still can be an efficient way to travel off-grid, portable battery packs are becoming increasingly popular. 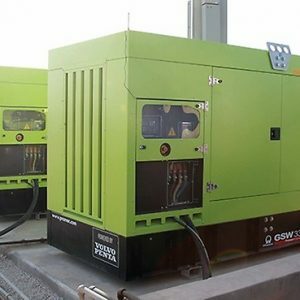 These fuel generator alternatives allow for portable power without the noise, fumes or maintenance of a traditional generator. The best thing about camping battery packs are that they’re portable so they don’t need to be hard wired into your vehicle. The current range on the market varies in size, capacity and battery type depending on your application and needs. You will need to consider what you want to power when choosing between the various batteries on the market. 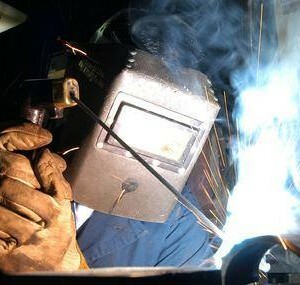 Incase you aren’t familiar with the brand, Dometic is global leader in manufacturing RV appliances. They are famous for their Portable Camping Fridges and Upright Caravan Fridges. Dometic launched their PLB40 Lithium Battery Pack to Australia in 2019. This battery system features cutting-edge technology, which is a result of years of research and development. It has an integrated DC to DC charger, which offers three convenient ways to charge: a 12V socket in your vehicle, AC mains power or via a solar panel. With 40amp hours of lithium capacity this pack will provide up to 40 hours of cooling time for a 40 litre camping fridge, on a single charge. It also features two USB ports so you can charge your phone directly off the battery. The built in LCD screen display allows you to track important performance information including the battery capacity, charging/discharging status and output status. One of the best features about the Dometic battery pack is that it weighs under 8kg and is super easy to move about, unlike many other models in the market. If you’re searching for more variety in terms of battery size and type, Goal Zero is the ultimate brand to look into! The brand offers both AGM and lithium battery packs depending on your power requirements. Both battery types feature built-in inverters meaning you can also run 240V appliances as well as your favourite 12 volt camping appliances. 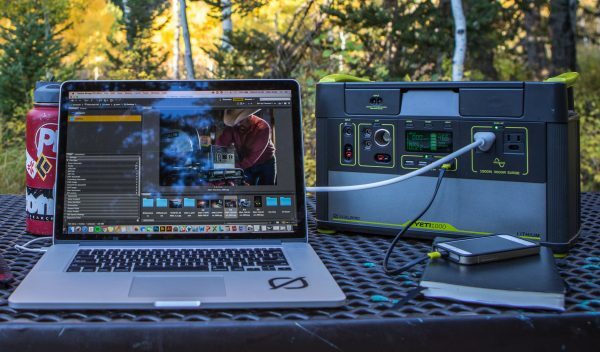 Goal Zero’s Yeti Lithium Power Stations are some of the most versatile and innovative power stations on the market! They feature built-in surge allowances and multi-stage protection, meaning greater compatibility with more devices. These Lithium models have become increasingly popular due to being lightweight and very efficient, but they do cost more than AGM packs. The lithium range is offered in four capacities: Yeti 400 Lithium Portable Power Pack 39.6Ah, Yeti 1000 Lithium Portable Power Pack 96.8Ah, Yeti 1400 Lithium Portable Power Pack 132Ah and Yeti 3000 Lithium Portable Power Pack 280.8Ah. The two larger lithium battery packs are also designed to run lights and appliances during an emergency home power outage. On the other hand, the brands AGM power packs are great if you’re on more of a budget. These units are heavier than the lithium models and do take longer to charge, but are still high quality products. 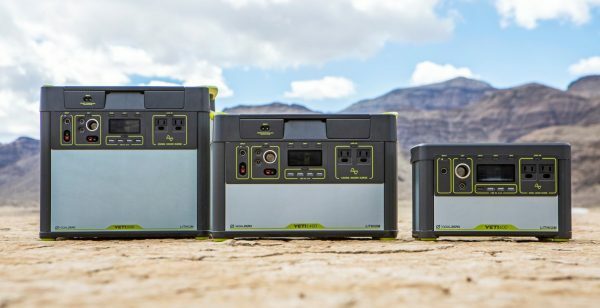 They are offered in three different capacities: Yeti 150 Portable Power Pack 14Ah, Yeti 400 Portable Power Pack 33Ah and Yeti 1250 Portable Power Pack 100Ah. 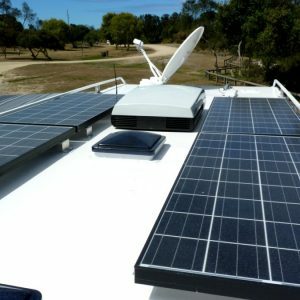 The best thing about the Goal Zero Power Stations is that you can use them in conjunction with a solar panel to travel off-grid indefinitely! The brand offer a range of packs that include a power pack and a solar panel for your convenience. Many of their solar panels can also be chained to others if you’re chasing extra solar power. 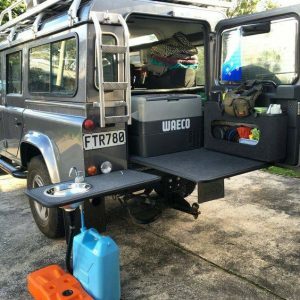 Now if you’re looking to charge a few more appliances, to travel off-grid for a longer, and don’t want to break the bank then a Baintech Powertop might be for you. It’s an AGM 135 amp hour battery which also has 3 way charging: AC, DC and solar. 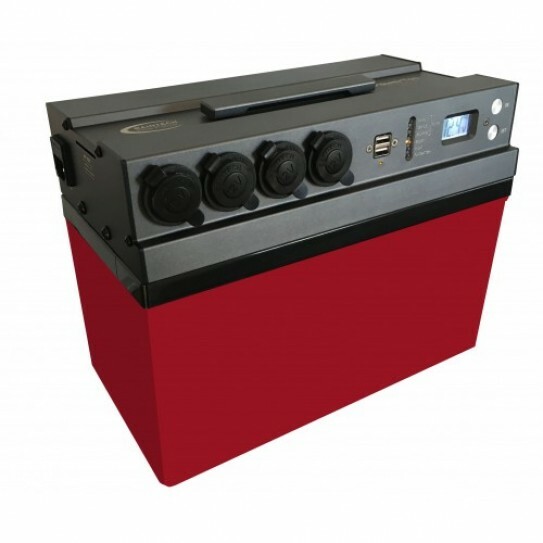 This battery features a range of inputs including 2x ciga sockets, 2x Engel sockets (to run an Engel portable fridge) and dual USB ports. Its anodised aluminium construction makes it suited for off-road camping. The Powertop is more affordable than lithium power packs but also heavier weighing in at 35 kilograms.